The Patient-Centered Medical Home (PCMH) practice model has been adopted and recognized by practices nationwide and has been shown to strengthen the clinician-patient relationship while improving the quality of care at a practice. This collaborative care model has been shown to result in improved practice staff and patient satisfaction, system efficiency, and may reduce overall practice costs. The NYS PCMH program is the only path for a New York primary care practice that wants to participate in the PCMH model. The NYS PCMH model of patient-centered care sets the stage for various other reform initiatives as it aligns with the Triple Aim of improving patient care, improving population health, and reducing healthcare costs. Various payers in New York State offer incentive payments to providers who meet PCMH criteria. All practices in New York that are interested in PCMH recognition or renewal will now follow one of the three pathways outlined by the NYS PCMH model. Focused on primary care practices who are struggling to navigate the changing landscape, NYeC’s NYS PCMH services help practices deliver high-quality, coordinated care, earn payment incentives, prepare to thrive under value-based payment arrangements, and achieve New York State Patient-Centered Medical Home recognition. Practices working with NYeC to achieve NYS PCMH recognition will receive up to fifteen (15) months of free technical assistance and support from NYeC to prepare for value-based payment arrangements and, when NYS PCMH recognition is achieved, to start receiving commercial payer incentive payments. Practices with sites that provide primary care services including internal medicine, family, and pediatrics practices are eligible to participate in NYS PCMH. NYeC provides technical assistance to both practices that are new to PCMH recognition and those that are currently PCMH recognized. Practices currently receiving federally-funded transformation technical assistance (e.g. TCPI, DSRIP-supported PCMH) are not eligible to participate in NYS PCMH services. 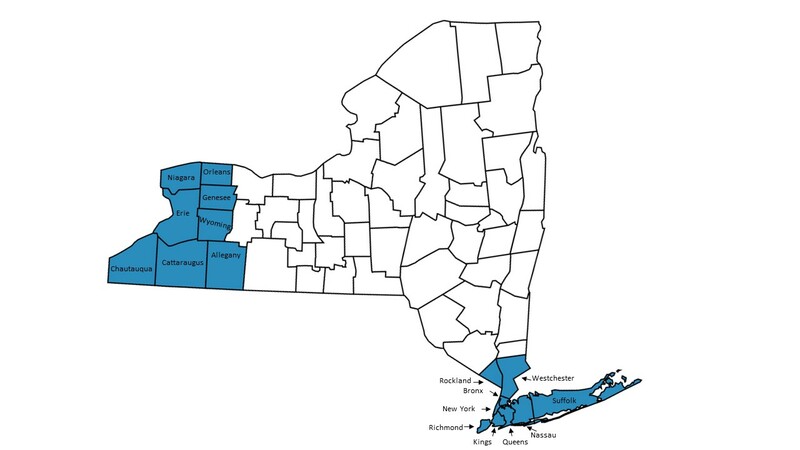 NYeC will support practices in Western New York, Westchester, Rockland, New York City, and Long Island. Space is limited and practices will be supported on a first-come, first-served basis. Sign up today to ensure your spot! NYeC and our skilled technical assistants throughout New York State will support practices in passing the three check-ins required to receive NYS PCMH recognition. For practices new to PCMH, documentation is required to demonstrate achievement of a total of 52 core criteria and seven to nine elective criteria across three check-ins. PCMH 2014 Level 3 Recognized practices must complete the Annual Reporting requirements necessary to renew. This involves meeting the 12 NYS PCMH Core criteria and providing documentation to meet the additional annual reporting requirement. The New York State Department of Health (NYS DOH), with support from the Centers for Medicare & Medicaid Services (CMS), has established the SHIN-NY Connections Initiative (SCI) to increase health information exchange (HIE) adoption and to help offset the cost for primary care practices connecting to a QE. Practices enrolled in the NYS PCMH program are eligible for SCI. The completion of an eligible EHR interface to a QE will satisfy the requirements of NYS PCMH standard CC 21. Learn more about SCI here. Practices can leverage SHIN-NY services to meet certain New York State Patient-Centered Medical Home (PCMH) standards and achieve their transformation goals. NYS PCMH success will require access to patient data, coordinated communication between care team providers, timely notification of critical patient events, and the ability to exchange patient information to support care coordination. Learn more about how practices can leverage SHIN-NY services to meet NYS PCMH criteria here. Interested in signing up for NYS PCMH?